www.uncletehpeng.com : My experience at Power 98FM Radio Station! 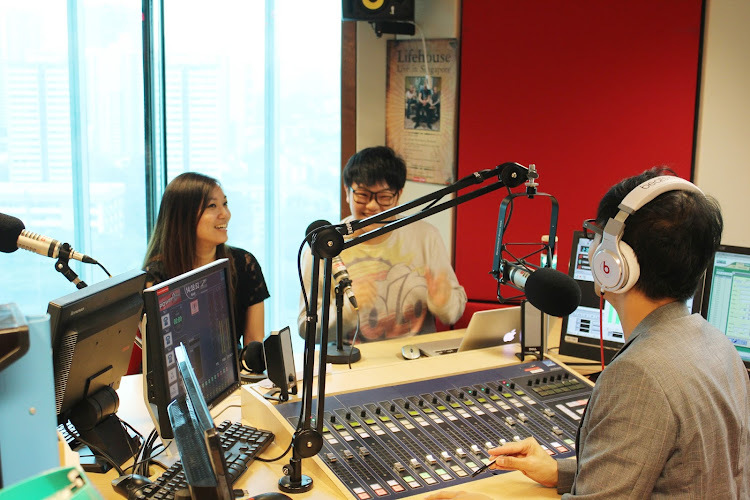 My experience at Power 98FM Radio Station! Hi guys! I was recently invited to Power 98FM for an exclusive preview of the new radio show called "The Ex-Factor" hosted by DJs Jacqui Thibodeaux & Mister Young. I was ecstatic to come down and check out how is it like behind the scenes of becoming a DJ! Power 98FM is also one of my favourite radio stations to listen to when I travel to school or work! 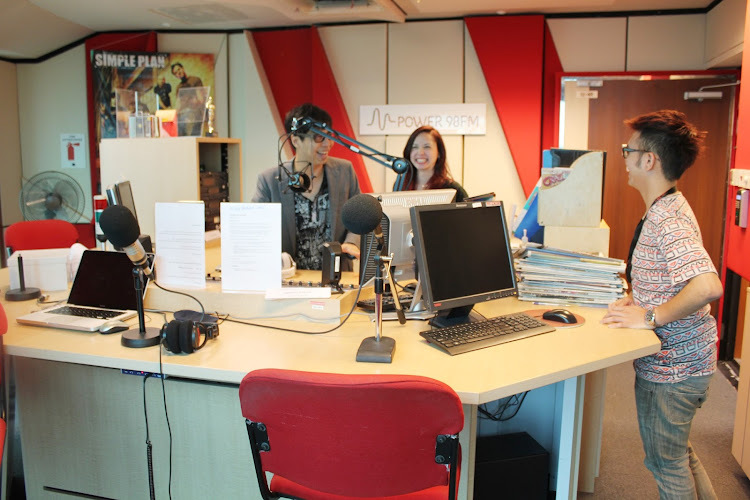 It was definitely one in a life time experiences of my life because I have NEVER been to a real radio station before! Thus, I'm so excited that I could drop dead for 5secs! Hahahas! It was my first time at a radio station and I was kinda nervous! Actually hor, who wouldn't be? Q: What is Power 98FM? Power 98FM is an english radio station established in 1994! 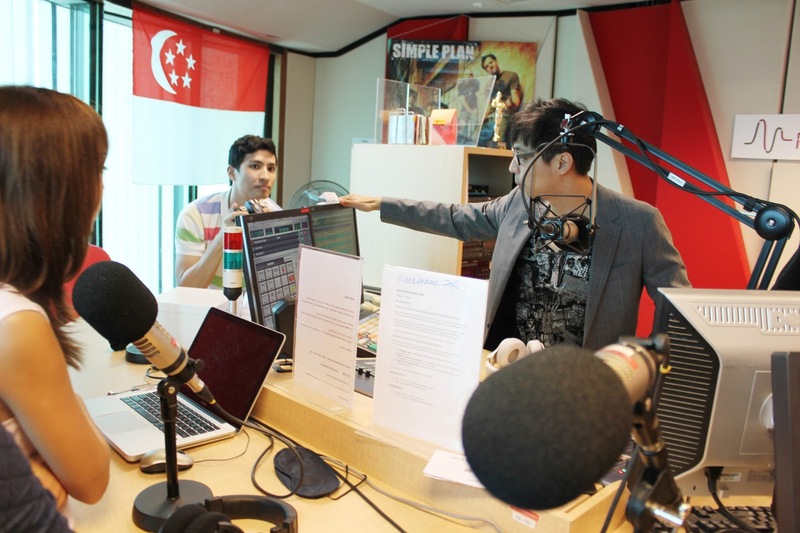 It is also Singapore's top lifestyle radio station and part of SAFRA Radio Station playing all kinds of songs with a mixed of lifestyle content. The songs played are from 1990s to today's hits offering best in travel, food, movies, sports and more. Q: What is The Ex-Factor show all about? The Ex-Factor is the first radio show of it’s kind in Singapore. Every dirty secret, bad habit, and button to push? They know it, and aren’t afraid to use it. What's interesting, the two DJs were once together as an item but who in the world would be crazy enough to work with your ex-lover HAHAHAHA (even me i'll feel awkward too! ) The show is a brand new segment of the evening drive show! Jacqui T. ( Jacqueline Su-Yin Thibodeaux ), you might had seen her before on magazines or commercials becuase she is also best known as the Roxy Girl 2001, New Paper New Face Miss Personality 2006 & also FHM Cover Girl 2011. Jacqui T. has also a series of commercials for McDonalds, computer & electronics products and television commercials for brands like McDonalds, Canon & Nike. She previously hosted 98.7 FM's flagship show ‘Say It With Music' and after that she developed an interest in DJ-ing and begin her passion. You can called him "Young" or "Mister Young", okay he looks young to me is a quirky, flippant, or just plain weird… (as described by himself). He is no stranger in live hosting as he has hosted a wide range of live events such as road-shows, press conferences, year end countdowns and even sometimes if you listen carefully you might hear a voice-over of his voice in some TV and radio commercials. He also started out form Mediacorp's 987FM and has 11 years of DJ-ing experience hosting morning showers all the way to graveyard shifts (midnight). Wah this guy must *salute* Hahaha! The radio equipments, microphone, computers all looked so high-tech and I know nothing about it except for talking on the microphone! Have a secret to tell you guys, I was once a kiddo-DJ in Primary 6 - Secondary 1. There used to be this online radio station that is for the popular game called Habbo. Don't know if you guys heard of the game, but I was recruited as a super young DJ back then and trust me. Content is very important, that's why I think that being a DJ is a tough job and also I actually considered of taking it as a career! Who knows maybe next time! I was so lucky and fortunate to be able to record a short radio segment with another blogger, Benita. Okay la, since the show was about Ex-es (past relationships), I was asked several questions about my past relationship experiences. Was kinda nervous and at a point of the time, I almost stoned and said nothing! Never the less, it was a great experience to learn about what is it like to work as a DJ! Something I learnt about them is that you can actually simply start a topic to talk about by just looking at a newspaper article or product/item in order to keep the conversation going and happening. Hohoho! I actually uploaded the clip on youtube to let you guys listen to the short segment that was recorded! Go go listen!!! I shall conclude my blogpost here! Overall, it was a fun-filled day spent with other bloggers and left with a brief knowledge about live DJ-ing! 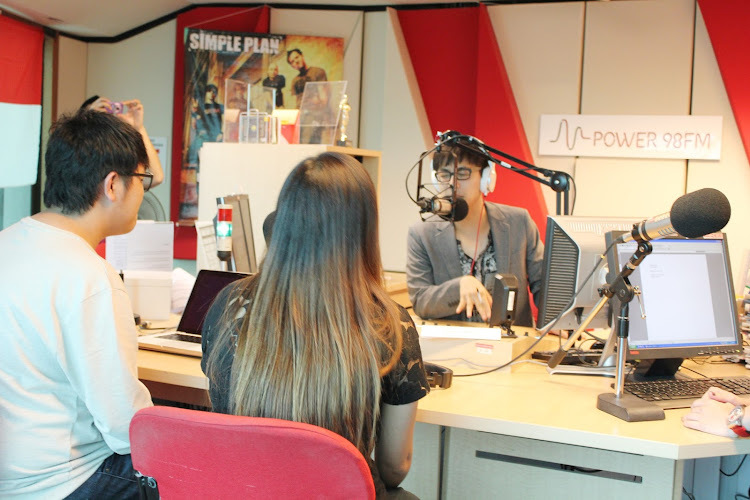 Thank you Power 98FM for your invitation! The DJs were super friendly and entertaining making it a pleasant experience! 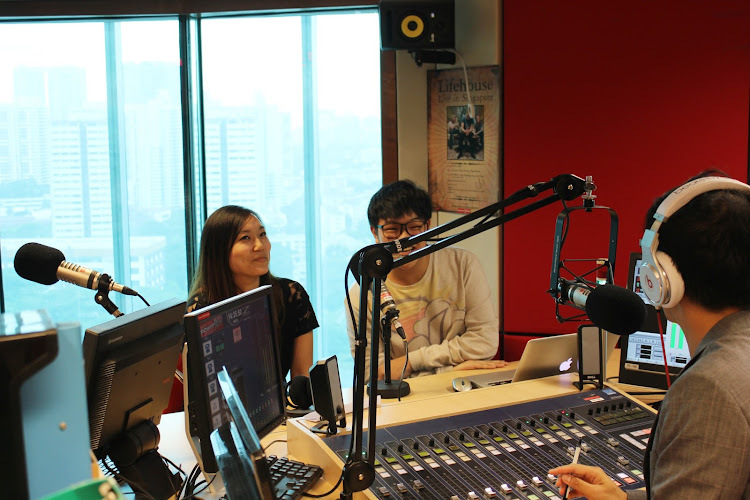 Do check out and listen to their new show, "The Ex-Factor", Weekdays from 5PM- 8PM!! And no they didn't eat me up in my last photo! Hahahaha! Bye!